The Goodbye Scene: A typical train setting sets up for a reinstallation of the classic parable of Lot’s wife – and this specific Lot’s wife listens to the never-turn-back command. Its Importance: For the world of “A Touch of Spice” (Politiki Kouzina), to look back at train stations is a great sin – it is an unethical promise to those staying behind. This way, years after waving his childhood love goodbye, the protagonist now waves at her in adult form once more along with her new life, and commands her not to look back as she walks away from him, with tears in both characters’ eyes. She obeys and they never see each other again, over the shoulder or in any other form. The Goodbye Scene: A train leaving, a newly formed couple of star-crossed lovers, and different lives waiting to welcome the characters back, but separated. Its Importance: It’s become apparently clear that neither one of the protagonists wants to leave their perfect stranger behind. And unlike the bitter train station goodbye in “A Touch of Spice”, this one actually sets up for a future promise. They both look back (she from the train window and he from the train platform) at each other, and they know and secretly promise that this is only goodbye in words. And we now know that this is the beginning of a beautiful cinematic rollercoaster of a relationship. The Goodbye Scene: A platonic love that would even make Freud curious ends not with a boom, but a whisper. Its Importance: It is really up to us to discern whether this is a “goodbye” or an “until we meet again”. 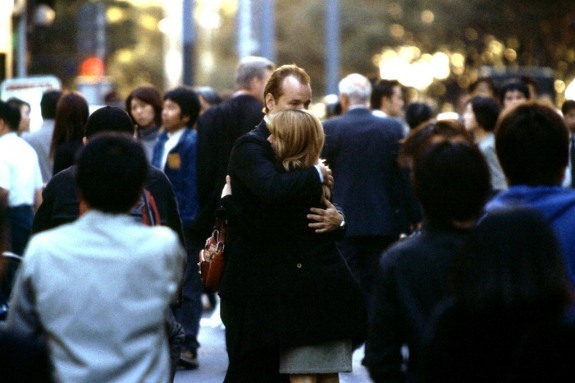 Bill Murray and Scarlett Johansson part ways and wave goodbye each to their own companion in a sea of unknown faces in a land of unknown languages. But huge speculation has grown as to the content of the inaudible mumble Murray offers to Johansson – is it a promise, a goodbye, or a “take care”? We may never know and we certainly never need to, since this film merely served as a chance to watch the connection of these two wandering souls grow bigger and bigger into love in Japan, but after the film is over, it’s time for them to return to their story’s privacy, and director and writer Sofia Coppola allows them to do so by giving them (and us) the chance to end this whichever way they choose. Be it a goodbye, or the start of many more to come, both protagonists stand welcome to each other, forever more. The Goodbye Scene: A formerly vainglorious German businessman bids farewell to all the Jewish workers he saved from concentration camps throughout World War II, only to realize – a little too late – how much more he could have achieved. Its Importance: To have regret for the way you treated the room behind the door you’re closing is a great curse when delivering a goodbye, and this is the case with Oskar Schindler in the film to end all of Hollywood’s Holocaust filmography. 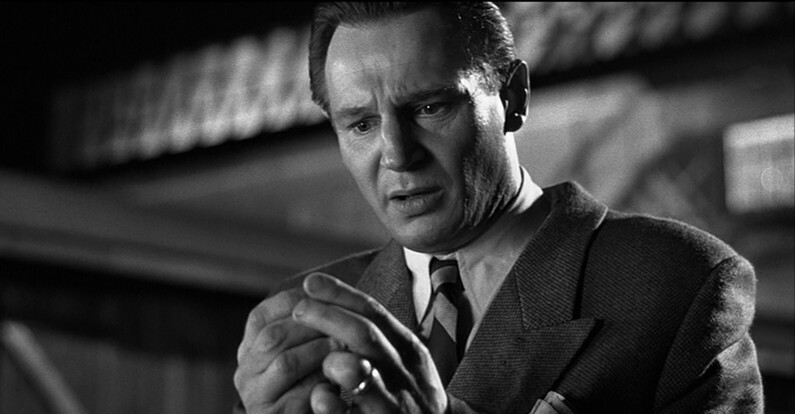 All of the victims saved in the hands of the accidentally beneficial business man (the lesser of two evils, to be precise, and in line with the film’s underlying comparison between the sadistic Nazi commander of Ralph Fiennes and the carelessly greedy businessman of Liam Neeson), are grateful during their salutation to their employer, but he is suddenly filled with regret, self-pity, and epiphany. His vain gold objects could have saved the lives of hundreds more, had he actually created places for them to work in his industry. But it is too late for him to change things, and his breakdown and sudden realization of falsity is what he has to be burdened with from this goodbye for the rest of his days. The Goodbye Scene: The mythical Scarlett O’Hara loses in love, only to gain in self-realization. Its Importance: As epic as they come, Clark Gable’s unforgiving goodbye and assurance of not giving a damn, pretty much stands in the top five goodbye scenes. But the essence of this rough goodbye between the tempestuous couple is not the much-embraced scene of closing the door of the old Southern mansion for good, but the moment Scarlett decides to pack herself up, re-emerge from the bottom for good, and start her new life the way she wishes to, not out of grief but out of triumph and determination. It is at this moment that an unwelcome goodbye is turned into a hardening tool to be embraced by our heroine, and this scene is turned into an eternal lesson to divorcees wishing to rebound for good. The Goodbye Scene: A young woman buys a present for the first man she’s fallen for in possibly forever, only to have the trash can greet it instead of him, after she sees him with his ex-girlfriend. Its Importance: After all she’s been through, including former Nazis, abusive males, and one flame too many, Lisbeth Salander achieves another unmanageable conquest – to find love in the face of Michael, the controversial journalist she’s been helping throughout the film. Ready to find some comfort in solace and oblivion, she buys him an old jacket as a Christmas present, and is ready to make a new start with him. Little did she know, this would turn out to be a silent and subterranean goodbye neither of them was willing to “say”. Seeing him with his former love, Lisbeth decides to remain hidden in her unnatural way of living, return back to her old ways and her motorcycle, and throws her first indication of affection towards a fellow human being in the garbage. And disappears. The Goodbye Scene: A young boy waves goodbye to his invisible friends and fantastic land of adventure, to both sides’ acknowledgment and disappointment. Its Importance: “Please don’t go, I’ll eat you up I love you so” is one hell of a way to bid your king farewell. And so all the mythical creatures living in Max’s heart and head (shout-out: E.T.) are about to lose eye contact with him, but none of them will actually lose each other – not really, not ever. Max needs to grow up and leave the images of the cute furry creatures and their mythical land of forests, and sand, and the magical Karen O soundtrack behind, but the memories of all the things they’ve taught him and all he’s felt among them are not to leave him anytime soon. There will forever be a home for Max’s wild things inside Max, but now it’s time for him to sail back home.